No one knows a workplace better than the people who work in it, so we have developed our own worker safety program within Murphy’s Masonry. The law says that ladders can be used for work at height when a risk assessment has shown that using equipment offering a higher level of fall protection is not justified because of the low risk and short duration of use; or there are existing workplace features which cannot be altered. 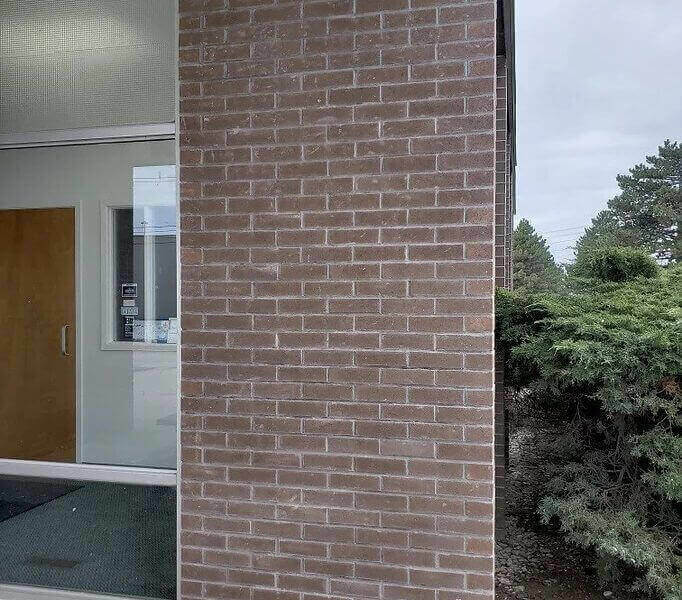 Short duration is not the deciding factor in establishing whether an activity is acceptable or not – even if it is only 10 minutes of tuckpointing. As a general rule, we set up scaffolding for chimney’s over 1 story. 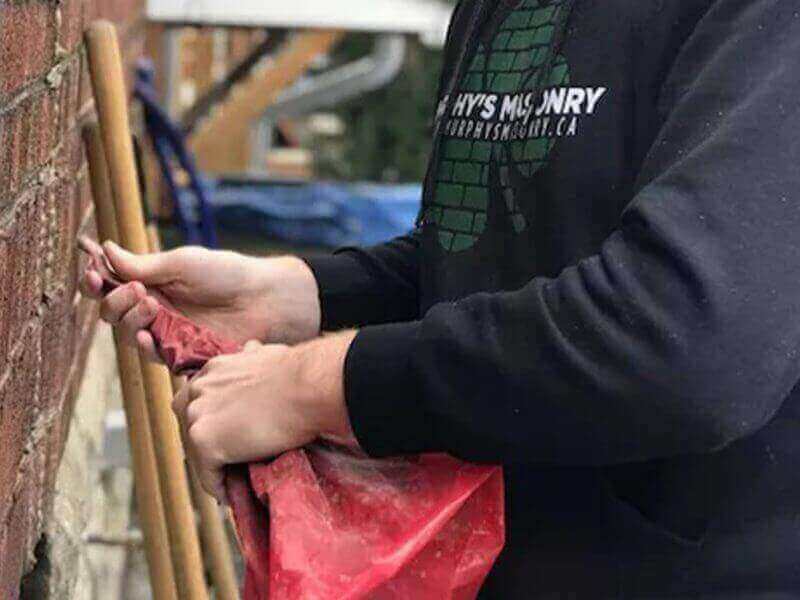 All of our masonry labourers are fully insured by WSIB. When they start with our company they are put on health and safety training immediately. The Working at heights, Whimis and Fall protection are the 3 key certificates that we aim to have our employees complete within the first 1-2 weeks of employment (during the wait, we only have them do ground work). 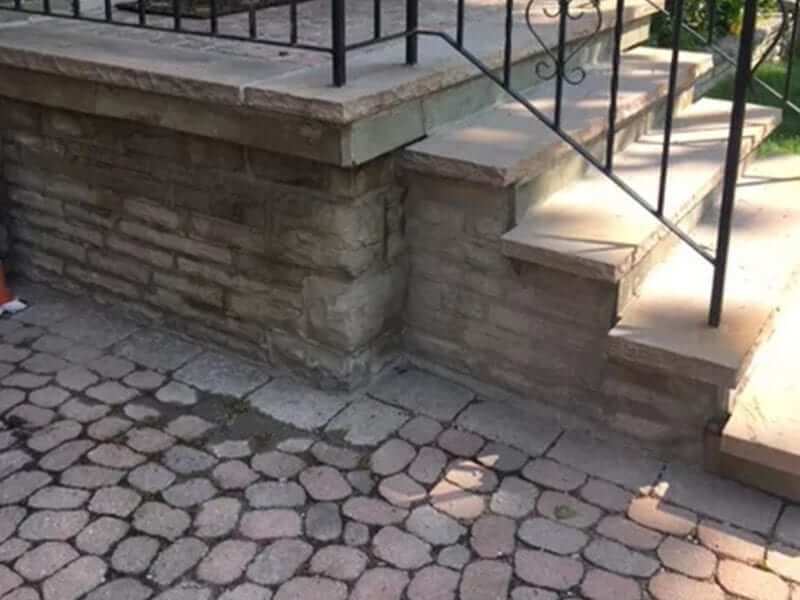 If you hire Murphy’s Masonry to get the job done, you will have fully insured, trained and capable masons doing the job.